If your looking for a good book to read during the summer or while your on vacation. There is a book that just hit the market called “The Great Swim” written by Gavin Mortimer. Here is a brief synopsis of the book:Let me know if you enjoyed it. The dramatic story of the four courageous female swimmers who captivated the world in the summer of 1926. Despite the tensions of a world still recovering from World War I, during the summer of 1926, the story that enthralled the public revolved around four young American swimmers—Gertrude Ederle, Mille Gade, Lillian Cannon, and Clarabelle Barrett—who battled the weather, each other, and considerable odds to become the first woman to conquer the brutal waters of the English Channel. The popular East Coast tabloids from New York to Boston engaged in rivalries nearly as competitive as the swimmers themselves; each backed a favorite and made certain their girl—in bathing attire—was plastered across their daily editions. Just as Seabiscuit, the little horse with the big heart, would bring the nation to a near standstill when he battled his rival War Admiral in 1938, this quartet of women held the attention of millions of people on both sides of the Atlantic for an entire summer. Gavin Mortimer uses primary sources, diaries, interviews with relatives, and contemporary reports to paint an unforgettable portrait of a competition that changed the way the world looked at women, both in sport and society. More than an underdog story, The Great Swim is a tale of perseverance, strength, and sheer force of will. A portrait of an era that is as evocative as Cinderella Man, this is a memorable story of America and Americans in the 1920s. 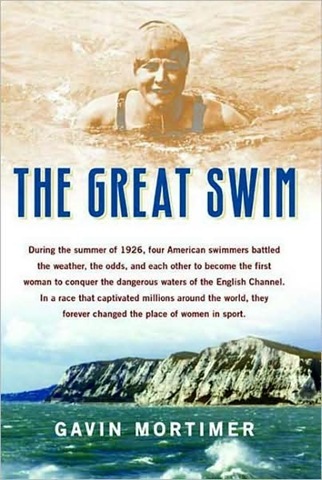 In 1926, in what might be the most amazing athletic achievement of the century, Ederle swam 21 miles from Cape Gris-Nez, France, to Kingsdown, England, to break the record held by a man, Argentina’s Enrico Tiraboschi, by nearly two hours. A comparable achievement today might be Michelle Wie beating Tiger Woods by 15 strokes—if Wie’s life were at risk each time she approached the sand traps…In The Great Swim, British journalist Gavin Mortimer tells this story with a verve that pulls the reader in like a high tide. I am half way through this book at the moment and am thoroughly enjoying it. 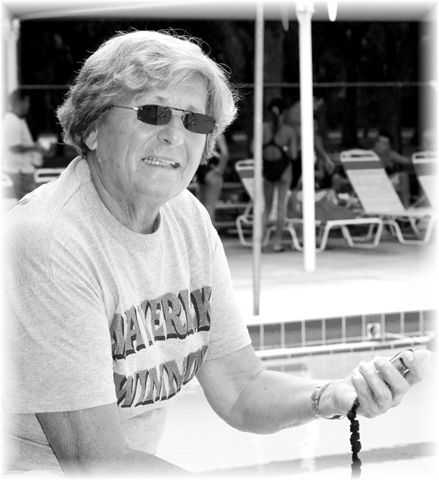 It is incredibly motivating reading of those pioneering women athletes swimming against the odds of nature and against the prejudices of the time. I used to daily swim a mile and a half in a heated swimming pool, and whilst swimming those lengths I used to idly think of how it might be to swim the Channel. I realise now that the reality is a long way away from the luxury of a leisure centre! I would recommend this book for its history and its inspiration. It is also an easy and entertaining read.